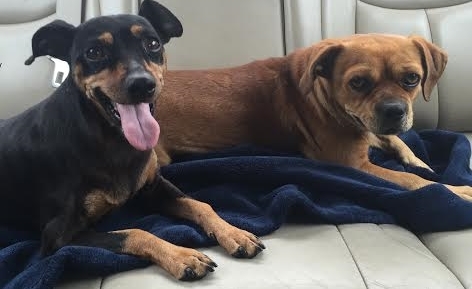 Barney was found running the streets of Maywood with his friend Mayebelle. The two are very bonded and must be adopted together. They sought safety in each other while living on the streets and have a very special bond. Barney is a 2 year old Pug mix and is super sweet and docile. He is definitely the "follower" of the group and is submissive and loving.